When you first started your business, did you write your 40-page business plan before or after ordering your business cards? Wait, what’s that? You didn’t write a business plan? Gasp! The horror! If you’re like many of us starting out in entrepreneurship, you did not write a business plan because it’s intimidating, time consuming, and you weren’t really even sure how to go about doing “market research.” At this point, you’ve been in business for a while without needing one, so why would you bother? Business plans are absolutely essential for people who get loans or who need to entice investors. Those folks need to have a solid business plan in place to prove they have done some serious homework in order to get others to give them money. But if you’re not in that category and have been bootstrapping your business, you may very well have been able to get by just fine without a plan. The problem with operating a business without a proper plan in place is you’re more likely to suffer from “shiny object syndrome.” Without a business plan, you’ll chase ideas around like a cat in a room full of laser pointers. You won’t know where to start or how to spend your time. Without a business plan, you’ll chase ideas around like a cat in a room full of laser pointers. You won’t know where to start or how to spend your time. Entrepreneurs tend to be “idea people,” and by nature, they are both ambitious and creative. As time passes, you’ll think of other services or widgets you could sell or even other businesses you could start. You’ll get excited about a new trend or new tool and take action without taking the time to analyze how this new idea fits into your current business and if it is really the best use of your time and resources. You’ll start straying from your core products and services and spread yourself and your resources too thin. And eventually you’ll find yourself with either an unwieldy business where you’re not doing any one thing really well or multiple businesses that aren’t as profitable as they could be. This is a classic entrepreneur problem. And it really boils down to a lack of focus. A business plan is the antidote to shiny object syndrome. Without a plan, your business is just a random set of ideas and actions. And this will never be as profitable or effective as a business that starts with a plan. A business plan forces you to come up with—and write down—your goals, your tactics and your blueprint of how will actually make money. And it holds you accountable and keeps you focused. We believe every business needs a plan, but we know not every business owner has the time to write 40-page plan. That’s why we’re such big fans of the Business Model Canvas. The Business Model Canvas is a quick and dirty business plan to help focus your business goals into a manageable, itty bitty business plan. The Business Model Canvas is a lean startup technique for developing a new business or revamping an existing business model. It was created by Alexander Osterwalder of Strategyzer. Because it is limited in space, you are forced to focus up (and disregard some of the dozens of ideas whipping around in your head). It gives you a high-level overview of your business plan. What are you selling? Who are you selling it to? How much does it cost to offer those products and services? And how will you make money? Plus, the Business Model Canvas is better for teams as it is an interactive activity you can do on a whiteboard (rather than a grueling week at a computer hacking out a traditional 40-pager). 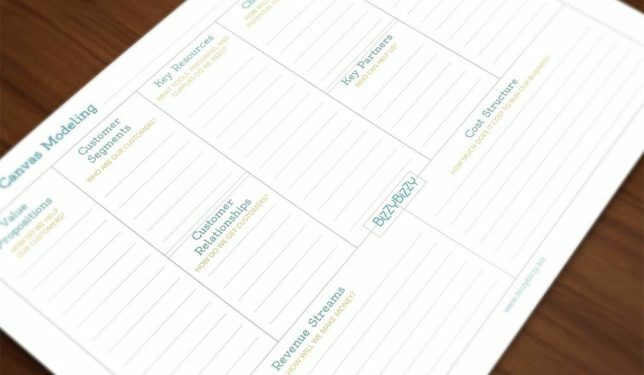 In a report done by Strategyzer, survey respondents said the Business Model Canvas provided a shared language, leading to better strategic conversations and better ideas on the table. But whether you’re working in a team or you are a solopreneur, don’t work without a plan. 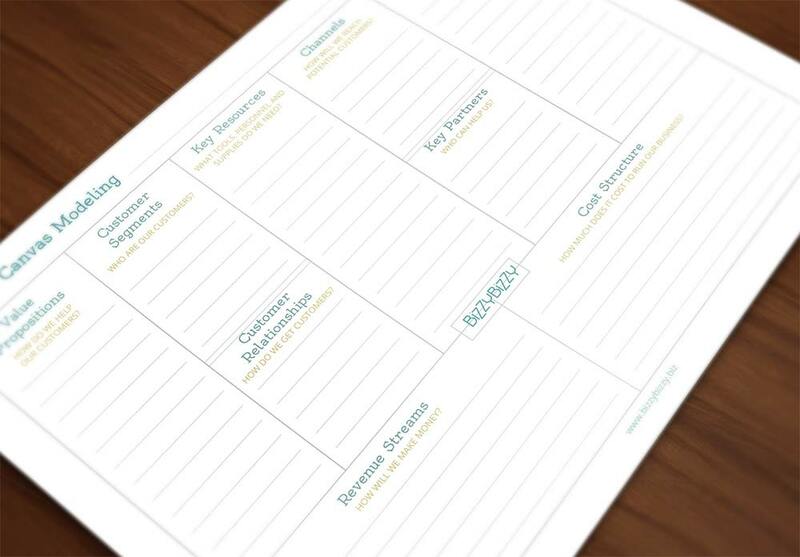 Download our free Business Canvas Model (a printable or fillable PDF) to start getting your poop in a group, and let us know how this exercise helped you focus up! 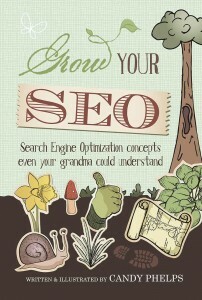 Get the “Grow Your SEO” eBook! In the “Grow Your SEO e-book,” Candy Phelps truly makes Search Engine Optimization easy to understand and even fun to read about! In this beginner’s guide to SEO, readers will learn exactly what to do to optimize their websites for Google…and what not to do. Annual Sale 10% – 15% OFF All Our 1 Day Services! How will Gutenberg Affect My Enfold WordPress Site? Bizzy Bizzy Featured on Authentic Business Adventures Podcast Annual Sale 10% – 15% OFF All Our 1 Day Services!